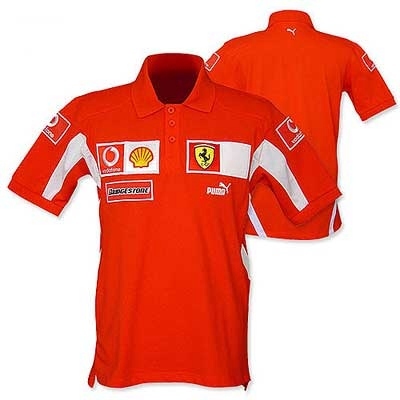 Puma Ferrari Short Sleeve Team Polo Shirt. Replica race team polo with various sponsor logos such as Shell, Vodafone, Bridgestone and of course Puma. Available in size S & L.